Your septic system is a part of your home or business that you would rather not have to think about, especially considering that if it were to break, it could cause a lot of damage. At Coker Septic in Hollywood, our experts provide home and business owners with peace of mind that their septic system is well maintained. If you are interested in learning more about how our business can help you, continue reading below, or give us a call at 305-403-9738 to schedule an appointment today! It’s easy to hire any septic cleaning company that you find online, but if you want to ensure that your home or your business’ septic system is well maintained, it’s important that you hire a company that you can trust. 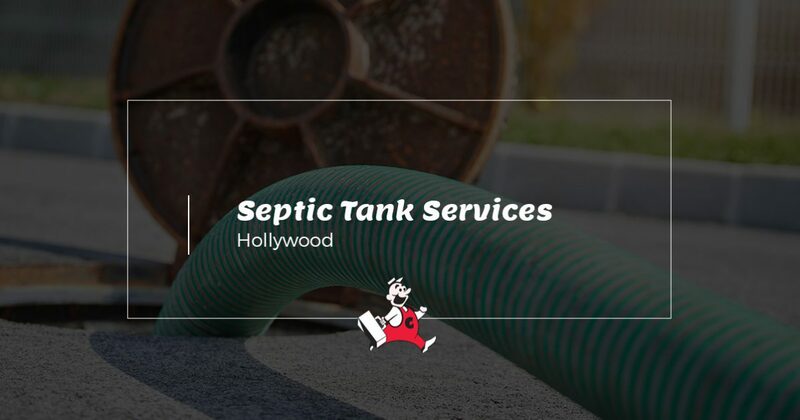 At Coker Septic in Hollywood, our experts have years of experience, and we understand that the last thing you want is a leaking or broken tank. We will work with you to clean and maintain your system, and we will even remind you when it’s time to have it inspected. Your septic system is more than just a tank. Each part works with the next to ensure that everything runs smoothly, and if one part breaks or becomes clogged, then it can easily lead to problems. At Coker Septic in Hollywood, we offer a variety of services that will keep your septic system functioning properly, including septic tank cleaning, drainfield maintenance, grease trap cleaning, and parking lot drain cleaning. Additionally, we are also available 24/7, providing you with quality service no matter the time of day or night. Your septic system has the power to cause a lot of problems if it becomes damaged. With routine maintenance and cleanings, you can avoid costly problems and keep your home and business running smoothly. Don’t wait until there’s a problem to take notice of your septic and give it the care it needs. Call the experts at Coker Septic in Hollywood to schedule an appointment today!